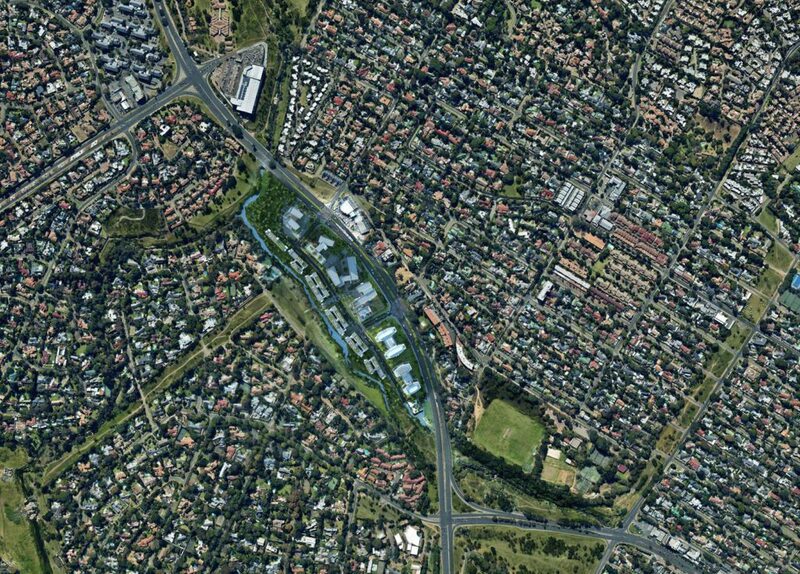 In addition to its proximity to the Sandton CBD, the project falls within the City of Johannesburg’s public transport network and is directly adjacent to the Braamfontein Spruit, one of Johannesburg’s longest natural greenbelts – a situation that offers enormous advantages in terms of sustainable urban development. Currently, the precinct is intended to accommodate 80 000 sqm of commercial space, 400 residential units, and a variety of lifestyle and leisure amenities. The first phase will break ground towards the end of 2017, and will include all necessary infrastructure, 12 800 sqm of P-grade office space, 140 residential units, a gym and recreational spaces – a mix of uses intended to give life to the precinct from the outset. It starts with sustainable design principles being applied at a neighbourhood scale. It’s all about creating healthy places to live, work, shop and relax in. The aim is to enrich one’s experience of an area by considering such aspects as diversity, connectivity (modes of transport as well as smart technology), security, art, pedestrianisation, permeability, and well-managed public open spaces with opportunities for outdoor activities and entertainment. This has to be done whilst reducing the ecological footprint of the development to make it environmentally sustainable. The eagerly awaited Green Star Sustainable Precincts Tool is based on the understanding that buildings do not exist in isolation, but are connected to their surrounding contexts by space, form, their construction processes and the operational impacts over their lifespans. They therefore have the potential to contribute positively to the public realm and the quality of urban dwellers’ experiences. The vision and focus of the Green Star Sustainable Precincts tool is to create more sustainable neighbourhoods, precincts and communities by focusing on five critical components of urban planning, design and construction, namely Governance, Liveability, Economic Prosperity, Environment and Innovation. The tool provides a framework for neighbourhood scale projects to align themselves to, and obtain third party validation of their sustainable development credentials, according to international best practice that is locally relevant. Under ‘Liveability’, developments are encouraged to deliver safe, accessible and culturally rich communities. The category encourages the development of healthy and active lifestyles, and rewards communities that have a high level of amenity, activity and inclusiveness. Projects may also apply for credits under ‘Innovation’ by deploying various unique precinct-wide sustainability initiatives that are truly innovative and are not already covered within the tool – for example providing real-time, site-wide leak detection and monitoring systems for all potable water sources; developing innovative approaches to carbon accounting; proposing integrated future thinking technologies into their planning solutions; and reducing construction waste to landfill. 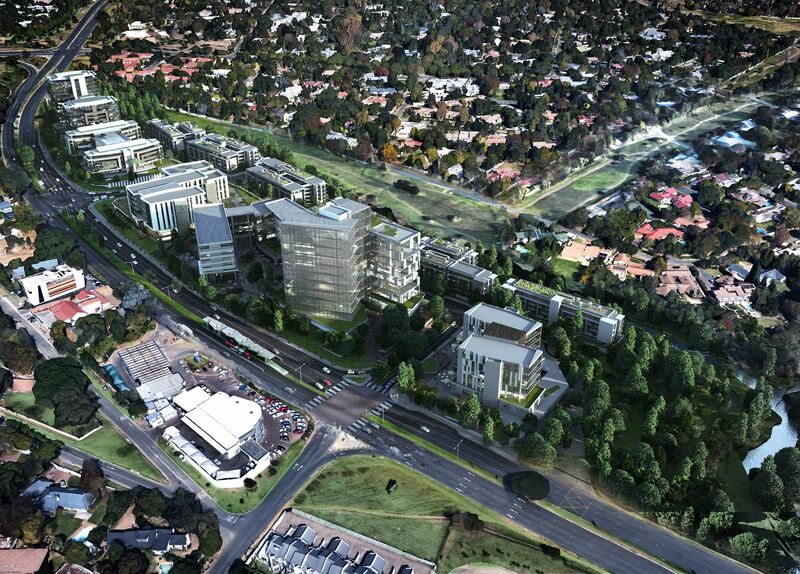 The vision of Sandton Gate aims to create a well-connected business, retail and high-density residential node serving both the region and its immediate urban context, while integrating the development into the existing transport infrastructure of the city. Governance criteria that have been met include a design review process of the precinct’s site plan and urban-design framework addressing: density, urban form and integration within the existing urban fabric; liveability; productivity and sustainability; and custodianship of the framework. All buildings will be required to adhere to design guidelines set out by the professional team and the developer, which will further the project’s design and sustainability objectives into the future. The precinct will have its own app through which precinct users can access information about the precinct, including its sustainability initiatives. In addition, building occupants will have the opportunity to be part of a precinct governance structure that will oversee the management and organisation of the public and community facilities in the precinct. In terms of Liveability, the precinct is holistically designed for healthy and active living, and includes important aspects of walkability, integrated with opportunities for physical transport, good wayfinding signage, and human-scale public spaces. One of Sandton Gate’s strengths is its connection to the city’s public transport systems. Pick-up points are placed within walkable distance from activity nodes, and pedestrian-friendly design encourages a greater use of bicycles, motorcycles and walking as daily modes of transportation – with ‘Complete streets’ including bicycle paths, appropriately sized sidewalks, resting places and shading. Furthering Economic Prosperity is a key consideration, and the Sandton Gate developers will undertake a study to determine the net percentage increase in the number of jobs generated in the area. 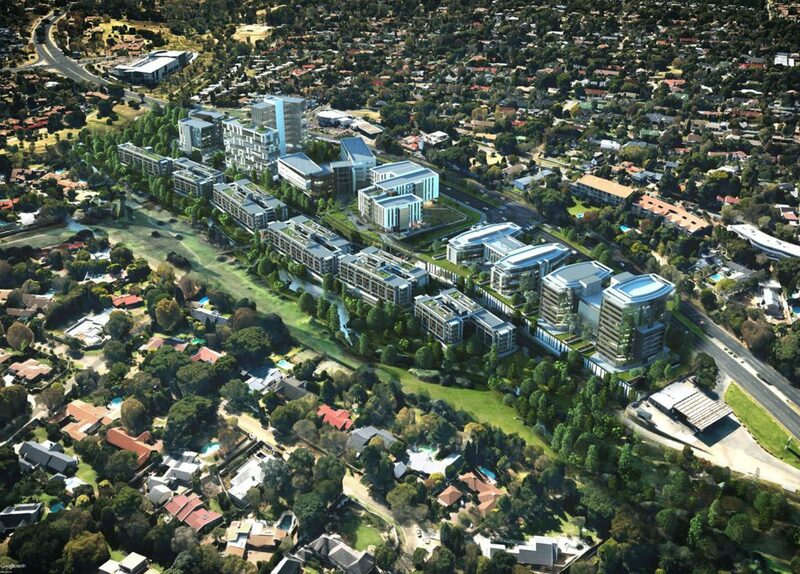 The utilisation of green open space as a productive component of the urban environment is also a valuable feature in the precinct, and the section of the Braamfontein Spruit facing the development will be rehabilitated as a public park open to the wider community as well as Sandton Gate residents. The precinct also aims to reduce peak electricity demand through the mix of office and residential uses, leading to electricity demand at different times of the day; and free Wi-Fi will be available in public spaces. It is a significant show of leadership that this precinct is prepared to have its green credentials benchmarked and verified by a third party independent authority according to international best practice for green buildings. 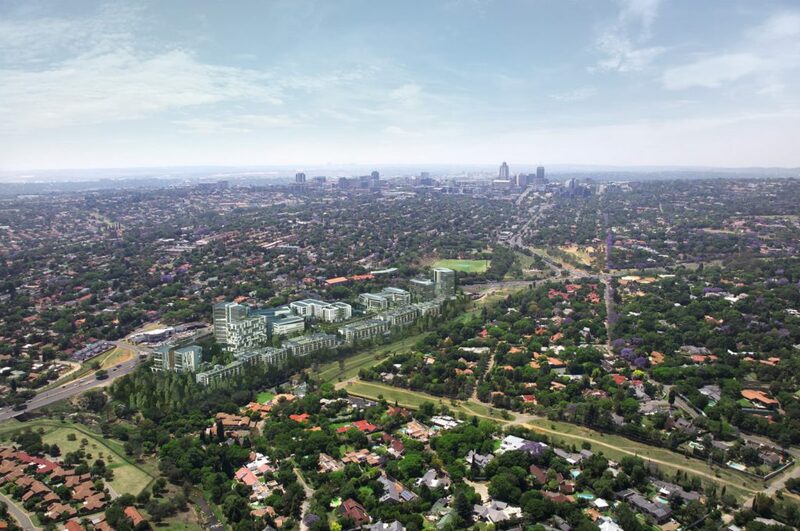 A development such as this is set to change the way inner city development is done in South Africa; and Sandton Gate will be able to benefit from lower operating costs and higher returns on investment, whilst attracting and retaining leading tenants. ← Prev News ItemOrganic Waste – What to do?